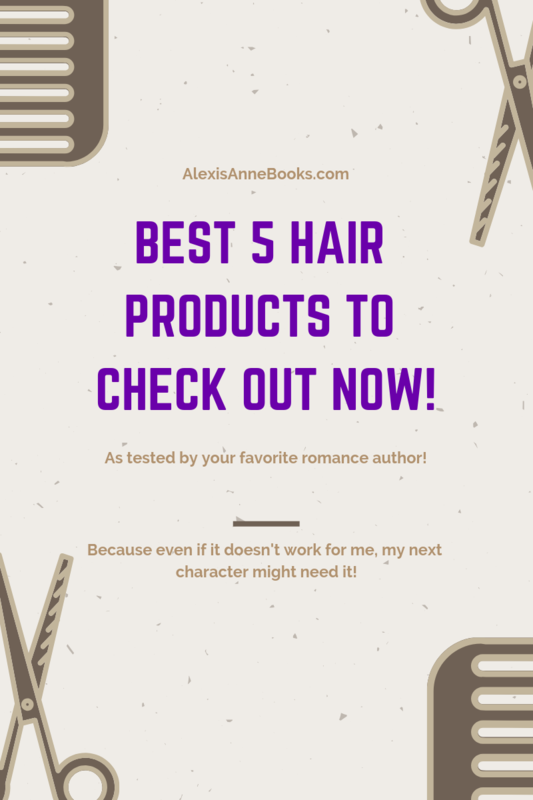 5 Best Hair Products to Check Out Now! Every few years I revamp my routine. It’s been a while since I surveyed my hair products or looked around at what might be a good addition to my life so when Alexandra Haughton shared a blog in our writing group, I pounced! Over the last couple of weeks I’ve been road testing some new products and today I’m sharing my experiences with you! You can find all of these products on my Amazon storefront! I have silky, fairly straight hair that doesn’t get a ton of lift and prefers not to hold any particular style other than the one it feels like holding on that day. 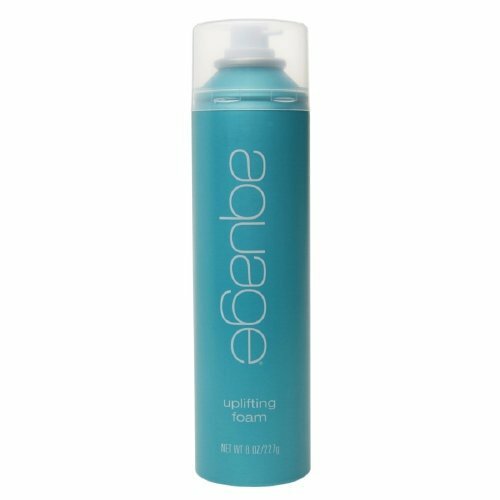 With lifting foams I’ve used in the past I’ve enjoyed the volume boost, but not always the product-y feel it leaves on the hair and scalp. I really like the Aquage foam! It made my hair BIG and actually acted a lot like a dry shampoo, keeping my hair clean-looking for an extra day and half than usual. I also like the scent, so this was a win-win all around and I’m adding this as a staple to my cabinet! I was skeptical. Then I tried it. WHOA. This stuff actually works! It cuts my blow dry time in, like, half. (Totally unscientific results right here!) I don’t know how much shorter my dry time is but I do know that I can go to the gym and now hop in the shower without panicking about how I’m going to get my hair dry and decently styled before I have to run out the door and look presentable. PLUS IT SMELLS SO GOOD! Seriously. I might keep using it just because I like the cocunut-y scent. (At least I think that’s what it is?) Regardless of its amazing scent, it really does make my blow drying much, much faster, so this is a verified win. Disclaimer: I’ve never used dry shampoo before. My hair is cool with being washed every day and it gets oily enough that going more than two days is not happening. I’ve got a pretty solid routine so I never bothered to venture down the dry shampoo avenue before. Plus I’m in the gym everyday. Sweat = washing. But everyone keeps talking about it and this blog I read recommended it so…I tried it! And I must say it’s pretty cool to go from having nasty hair to what appears to be mostly clean hair! It was also weird and my hair felt different and I wasn’t so sure how I felt about that. I also have very dark hair and I could totally tell where I didn’t get the stuff massaged in correctly (hello white powder!) I also didn’t like the scent at all. I’m pretty sensitive to scents and when one doesn’t work for me it equals headaches and a general feeling of meh. Verdict: Nice to have, probably won’t use too often. I have that silky hair that I have to leave dirty if I’m going to do an updo because it refuses to accept curl or product (for the most part.) So when I heard about this I WAS INTRIGUED! When you’re styling, say a bun or updo, or just going for volume in a nice messy look, you spray this into your hair and voila! Magic! It works! I was floored and really excited to have a product that makes my hair do things! It also smells nice and was very easy to use. I have a love/hate relationship with hairspray. I don’t want hard hair. I don’t want it to be perfumy. Most hair spray seems to be both. And when you live in a humid environment hairspray is a necessity for certain styles. I’ve had hairsprays I’ve loved and they usually discontinue them (like those TV shows you fall in love with and then they cancel…Hello Firefly I’m talking to you.) I’ve been on the hunt for a new go-to hairspray and I think I’ve finally found it! Kenra left my hair soft to the touch and I could still work my fingers through it without feeling like I’d ruined the whole style. It didn’t stink or give me a headache. In fact, it seemed to do exactly what it should: hold my style, give it some extra oomf, and not give me a headache in the process. So this one is a winner in my book! Verdict: a staple for now! I hope this rundown helps some of you. It was great research for me and my upcoming characters. I’ve got a movie star, a secret agent in hiding (so many costumes! ), and an F1 image consultant to write so this will all come in handy! Do you have any products you want to share with me? Hit me in the comments!